~~UNCITRAL was established by the General Assembly upon a Hungarian initiative in 1966 and is mandated to harmonize and modernize international trade law, by creating an effective legal environment for international trade and commerce. Hungary continues to play a significant role in the life of the Commission since H. E. Mr. János Martonyi, former Minister of Foreign Affairs of Hungary has been asked to be the honorary Chair of the 50th session, after which the Commission elected Dr. Zoltán Nemessányi, deputy state-secretary of the Hungarian Ministry of Justice as Vice-Chair of the current (51st) session. On 17 December 2018, the General Assembly elected the following thirty new members to UNCITRAL: Hungary, Russian Federation, Ukraine, Croatia, China, Japan, Malaysia, Indonesia, Republic of Korea, Singapore, Viet Nam, France, Belgium, Canada, Germany, Finland, Switzerland, UK, Algeria, Cameroon, Cote D’Ivoire. Ghana, Mali, South Africa, Zimbabwe, Honduras, Ecuador, Mexico, Peru, Dominican Republic. 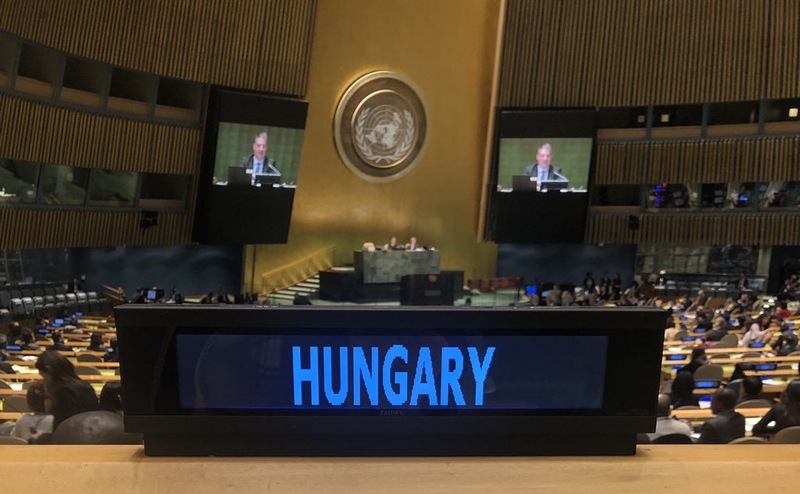 Hungary congratulates to and look forward to working with all new and old members of the Committee!